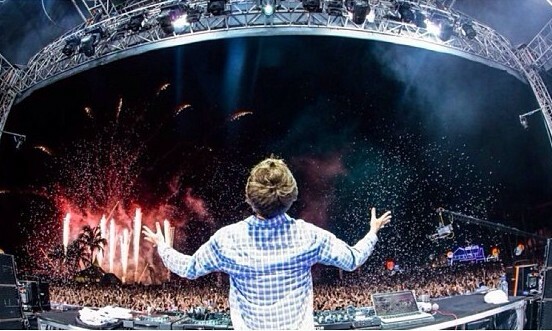 A huge beach dance festival each year, ZoukOut pulled in its largest crowd this year at 41,000 partygoers. This is the 13th year the event is running. The party, held at Siloso Beach in Sentosa on 13 and 14 December, also saw a healthy turnout of brands looking to reach party goers. The event’s sponsors included brands such as Heineken, Scoot, Bacardi, Citibank, Hewlett-Packard, Havaiianas, Ripcurl, Red Bull, LeSportsac, G.H.Mumm, MTV and more. However, Timothy Chia, head of marketing and events at Zouk did not reveal sponsorship dollars for the event, saying that sponsors value-add through other means such as cross-promotions and marketing of the event. The event saw sponsors also getting creative. 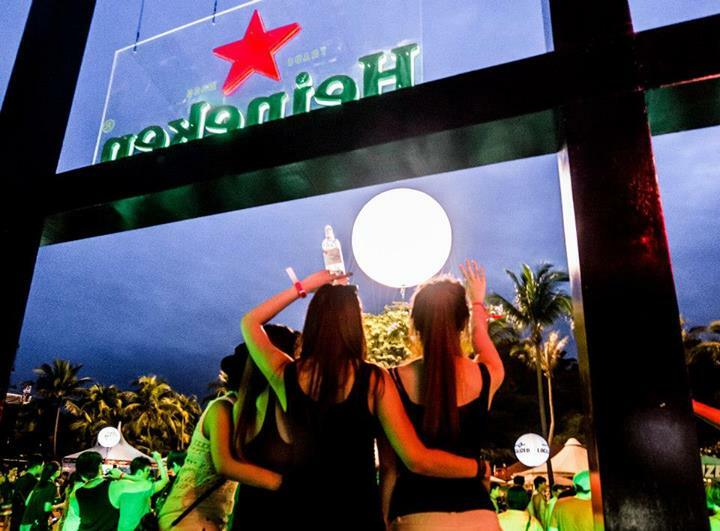 For example, in a brand stunt it called the Heineken Sunrise, Heineken created a dance-reactive floor on the beach that could capture dance activity levels, encouraging party-goers to dance on it. The more dance steps the floor detected would result in a 10 metre wide ‘sun’ it had created to glow more brightly. Scoot was also present at the event as official airline. 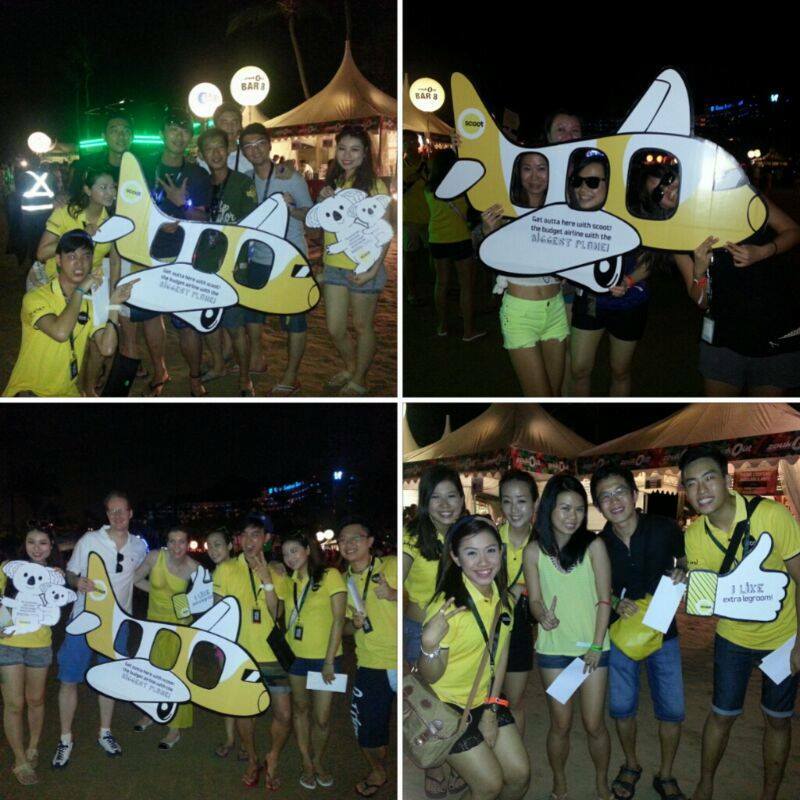 Cabin crew from Scoot came with props, asking event goers to pose with them and post it on Instagram with the hashtag #scootatzoukout. The best picture would win a pair of flight tickets from Scoot. 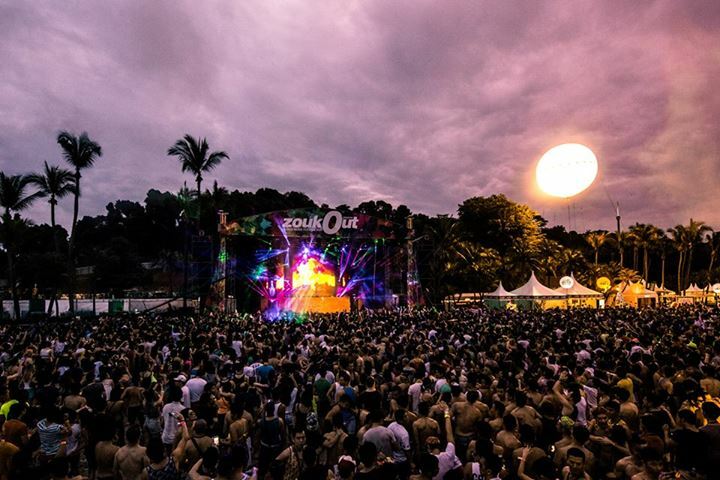 The airline also gave away 40 ZoukOut tickets to its Facebook fans. Sharon Koh, marketing manager of Scoot told Marketing Events that this was part of the brand’s on ground engagement with the public. She also added that it would always tie its event activity to social media to create conversation. SingTel had “Santarinas” at its party giving out NFC tags for purchasing drinks, as well as giving away $100 drink credits pre-loaded into tags for several SingTel customers. 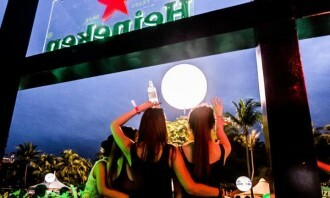 *Images from Heineken, Scoot and ZoukOut’s Facebook pages. Happy people make for good business, so let's see which agencies created and maintained the most positive and engaging work enviro..